212 Tax and Accounting Services can help you keep your sanity and increase the amount that you are able to save on your taxes. Our experts have niche experience working with diverse businesses and companies that require individualized focus with their tax assistance. Our team is up-to-date on the nuanced tax laws in your industry, and can provide you with current, sound advice for your business. Our goal is to minimize your losses and optimize your profits while you focus on the daily operations of your business. Looking ahead to help you make the most effective financial choices is what we do best. We work with you, not against you. Come tax season, we promise you will be able to sleep easy, knowing that your taxes have been filed correctly and that your reporting has been completed with integrity. Don’t settle for anything less than the best. 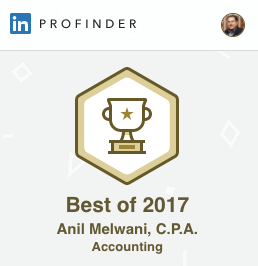 Get a New York CPA who has been around all the blocks—not just one or two. Remember, getting your taxes right is important not only to keep the law, but in order to maximize on the amount you’ll save. Let 212 Tax, a well-respected New York City CPA firm, lead the way with our specialized options for tax accounting and reporting. For an honest CPA NYC companies turn to 212 Tax . Call us today for a free quote.